The top exports of the United States include refined petroleum, cars, and vehicle parts. Refined petroleum is the second most exported product from the US. The US is the second largest export economy in the world after China. It exported approximately $2.21 trillion of goods and services ($1.47 trillion worth of goods) in 2016. The total export generated 12% of the country’s economic output as measured by the GDP. The US has the potential to export more goods as only 1% of the businesses in the country are involved in the export. It imported more goods than it exported in 2016, leading to a negative trade balance. The goods imported in 2016 were worth $2.21 trillion. The GDP and GDP per capita were $18.6 trillion and $57.5k respectively. The US was the largest exporter of unspecified, exporting $157 billion worth of goods. The unspecified accounted for approximately 11% of the total export. The US exports the unspecified goods mainly to China, the United Kingdom, France, Mexico, Canada, Japan, and the United Arabs Emirates. China and Canada are the largest markets for unspecified goods from the US, accounting for 9.9% and 9.2% of the total unspecified exported. Oil and oil-based products including refined petroleum is the second most exported product from the US. Refined petroleum accounts for 4.35% of the total export. The product was valued at $61.9 billion and was mainly exported to countries such as Mexico, which accounts for 25% of the total refined petroleum export. Other top destinations included Canada, Brazil, Netherlands, Colombia, and Chile. Cars accounted for 3.3% of the total exports by the US, amounting to approximately $53.6 billion. The country boasts of major automobile firms including General Motors, Ford, and Chrysler. The top destinations for the US cars include Canada, China, Germany, Mexico, and Saudi Arabia. Vehicle parts exported in 2016 amounted to $43 billion, accounting for 3% of the US export. Mexico, Canada, and China were the major market for the vehicle parts from the US. The US is one of the top exporters of electronic machines and spare parts in the world. In 2016, it exported integrated circuit worth $31.9 billion, accounting for 2.2% of the total export. Computers were the second most exported machines, accounting for 1.9% of the total export or $26.4 billion. Telephones and machine parts accounted for 1.6% and 1.1% respectively. The top market for electronics and machines include China, Mexico, Canada, Hong Kong, and Japan. ​Why Is the US Exporting Less? The US exports less than it imports. But why is it so? The emerging markets such as China and India have lower living standards, allowing them to make consumer goods cheaper than the US. Thus, they are better at producing some of the products the US produces. Secondly, some European and Japanese countries produce better-quality automobiles than the US. Thus, these countries have a wider market than the US. 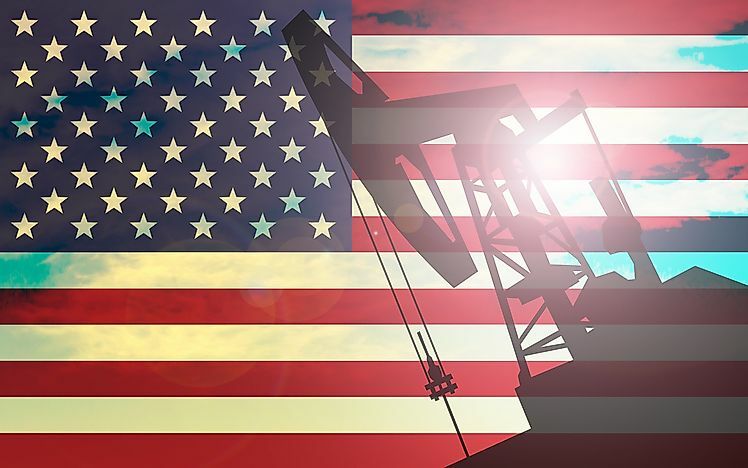 Finally, the US depends on oil. While the country is a large exporter of oil, it is also one of the largest importers of oil since it uses more oil than it produces.